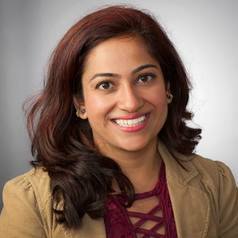 Dr. Deepa Burman is the Co-Medical Director of the Pediatric Sleep Evaluation Program at UPMC Childrens’ Hospital of Pittsburgh. She has a broad range of experience in managing full spectrum sleep disorders in adults and pediatric patients. Dr Burman’s key interests are in improving access and quality of care for patients with sleep disorders and in promoting awareness about consequences of sleep-disorders in all stages of life. Dr. Burman is board certified by the American Board of Family Medicine, American Board of Sleep Medicine and is a diplomat of the American Board of Obesity Medicine. She has been involved in several peer reviewed presentations and publications and has been awarded with the fellow status from the American Academy of Sleep Medicine and the American Academy of Family Medicine. She has also been an invited speaker in various national conferences about sleep disorders and fatigue management in medical professionals.